The University of Delhi is a premier university of the country and is known for its high standards in teaching and research. Therefore, it attracts eminent scholars to its faculty. 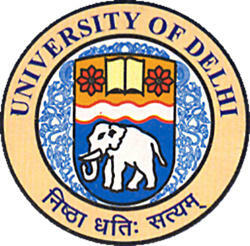 The University of Delhi was established in 1922 as a unitary, teaching and residential university by an act of the then Central Legislative Assembly. Only three colleges existed then in Delhi: St. Stephens College founded in 1881, Hindu College founded in 1899 and Ramjas College founded in 1917, which were affiliated to the Punjab University. The University thus had a modest beginning with just three colleges, two faculties (Arts and Science) and about 750 students. In October 1933, the University offices and the library shifted to the Viceregal Lodge Estate, and till today this site is the nucleus of University (Main Campus). Apart from central administrative offices, examination offices and the sports complex, main departments of the Faculty of Science are housed in the Viceregal Lodge Estate. Sir Maurice Gwyer, who was the Vice Chancellor of the University, realizing the immense importance of a distinguished faculty, searched for talent all over the country and brought men of eminence to this University, such as Prof. D S Kothari in Physics, Prof. T R Sheshadri in Chemistry, Prof. P Maheshwari in Botany and Prof. M L Bhatia in Zoology. During the last over seven decades the University has grown into one of the largest universities in India. At present, there are 14 faculties, 86 academic departments, 79 colleges spread all over the city with about 2,20,000 students. In an effort to cope with the enormous expansion, the University in the early seventies initiated a new organizational pattern based on the multi-campus concept. The South Campus made a beginning in 1973 by starting postgraduate programmes of some departments of the Faculty of Arts and Social Sciences in a rented building. The campus acquired land near Dhaula Kuan where the building of Arts Faculty was constructed and the offices and teaching activities shifted to this campus in 1983. A beginning has been made towards establishing the East and West Campuses. The East Campus is being developed with the University College of Medical Science as its nucleus, while the West Campus will have its focus on Engineering and Technology. When the University Grants Commission (UGC) started establishing Centres of Advanced Studies in the country, six were awarded to the University of Delhi out of a total of 18 such centres in the early sixties. These are in Physics, Chemistry, Botany, Zoology, Economics and Sociology. These Centres of Advanced Studies are now the centres of excellence in teaching and research in their respective areas. In addition, a number of these and other University departments received grants under the special assistance programme of the UGC for their outstanding academic work. The University has 15 libraries. These are apart from Libraries in the Colleges. The University Science Instrumentation Centre (USIC) has a number of sophisticated research instruments which are used by several departments of the University and by other institutions in Delhi and in the neighbourhood. University of Delhi has 109 affiliated Colleges. Click here to explore them. University of Delhi has 85 Departments listed that offer various academic courses. 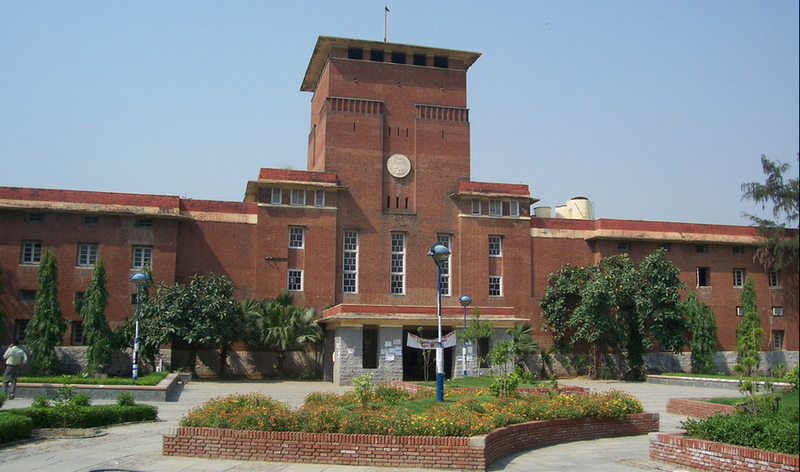 Are you Interested in studying at University of Delhi?